Spotty rain means spotty conditions. It’s worse than being a weatherman. Predicting hunting conditions for the fall before we know how severe the summer drought will be is more art than science. A lot of factors are involved, including reproduction and survival from the preceding five seasons. But at least the following is predicated upon what the scientists in the wildlife division of the Texas Parks and Wildlife Department have observed. Beware that ideal conditions for wildlife may well be the very influences that make hunting harder. Critters having plenty to eat is a good thing. But it also may mean that they don’t move around to be seen by hunters. But then when it quits raining for any extended period, the opposite is true, and hunter success improves considerably. You take the good with the bad, and just be thankful you can be out in the hills or brush doing what we call hunting. It’s our heritage, and one of the factors that keeps us sane in a stressful world. So, with that covering my, uh, credibility, here’s a compilation of what the TPWD game biologists around the state have to say about hunting prospects. For a chart of 2009-2010 Texas Hunting Season Dates by Animal, go here. According to Vernon Bevill, TPWD’s small game program director, the statewide dove breeding population is around 20–25 million, and chances are good that the population will at least double during the breeding season. In West Texas, district biologist Billy Tarrant, in Alpine, reports that both mourning dove and whitewing populations are in good shape. He expects cultivated areas will offer the best hunting. Duane Lucia, in Lubbock, says that Panhandle numbers are also good, and that mourning doves started nesting in March. Whitewings are also increasing there. Chip Ruthven supervises the Panhandle wildlife management areas and says 2008 was a great year for dove hunters. He expects another fine season this year. Charlie Newberry, in Henrietta, suggests that hunting over native sunflowers and croton should be productive. James Edwards, in De Leon, noted that wheat and oat production there seem to hold birds in the area. Gilbert Guzman reports that spring rains should bring up croton in the Menard-Mason area. Most of the Hill Country had nice spring rains. In East Texas, David Sierra recommends the northern counties, but says Navarro County was excellent last year. South Texas has been the mecca for dove hunters, and this year should be no exception. The areas just south of San Antonio and around Uvalde are loaded. Ashton Hutchins recommends the Frio-Zavala county area, and points to the four public hunting areas there. I’m ready! A drought-induced die-off struck the Trans-Pecos pronghorns. Range conditions were poor but improving, according to Tarrant. Further north, John McEachern has similar bad news about the Permian Basin herd. Little or no rain retarded horn growth. In the Panhandle, Lucia says the pronghorns in northern Panhandle are increasing and the western population is stable. Overall, it’s not a year to write home about. A record number of sheep were observed by helicopter last year, and a record number of permits were issued — 15. Mike Pittman, manager of the Trans-Pecos WMAs, expects a comparable number of permits this season. Chip Ruthven writes, “Short of a nuclear winter, feral hogs should continue to increase throughout the (Panhandle) region.” Many ranchers would like a winter that would nuke the hogs! They’re everywhere, and multiplying. In the Hill Country, Guzman says they’re all along the Llano and San Saba river corridors. Danny Davis, a biologist in Ranger, reports they are flourishing in improved habitat and food plots. Sierra, in East Texas, says they provide excellent hunting opportunities, especially in bottomland hardwoods. South Texas district biologist, Alan Cain, agrees, saying the drought has relegated them to creek and river drainages. Feral Hog Season: No closed season; landowner permission and hunting license required. Tarrant says the javelinas appear to be on the rise, especially in the central mountains of the Trans-Pecos. They seem to him to be expanding their range to the north and west. Pittman says there are plenty of them on the WMAs. In South Texas, Cain reports an abundance of them. Last season in West Texas was dreadful. According to Tarrant, this one may not be much better. The best hunting will be on properties that have implemented good habitat management practices for quail. Some Gambel’s quail can be found along the Rio Grande and associated drainages in the western portion of the region. Lucia, in Lubbock, expects a good hatch if the region gets some rain, since there was a good carryover of broodstock. Ruthven says the same for the WMAs: a mild winter and good carryover. Rains have picked up well; if this holds, prospects will range from “average” to “pretty good,” depending on where you are hunting across this broad area. The Matador and Gene Howe WMAs definitely look better with recent rains. Biologists in the Hill Country don’t talk much about quail because habitat and drought limit their existence. Guzman, in Menard County, says bobwhites do a little better there, since the habitat is more compatible with quail. Soil and vegetation generate more groceries to the west and north, and Ralph Suarez, in Ballinger, writes that quail there are “holding their own” due to habitat management practices that allowed nesting cover to remain. Moving east, it gets worse. Kyle Melton, in Hewitt, says quail numbers there have been declining for 20 years. Jennifer Barrow, north of Dallas/Fort Worth, reports a downward trend and unfavorable nesting conditions. It’s better to the south. David Forrester, in La Grange, the district biologist for the upper coastal plains, expects “average to above-average” hunting. Alan Cain, district biologist for the Brush Country, says they need rain for a good hatch. Eric Garza, in Hebbronville, expects low numbers there, too, without rain. Although conditions aren’t ideal, David Synatzske, on the Chaparral WMA, reminds us that South Texas wildlife species are survivors and respond quickly. Brad Porter says the Three Rivers area had a good carryover of birds, and could recover with rain. Hutchins expects good hunting in Frio, Zavala and Dimmit counties. So it’s not all bad, and could get better. Just add water! With less rain, there is certainly less salad for the rabbits. Consequently, Rufus Stephens predicts fewer rabbits in Comal and Kendall counties this year. But, being bunnies, they’ll rebound quickly with any rain. The place to take kids for good squirrel hunting will be East Texas. Sierra says the Post Oak Region, extending from Oklahoma between Sherman and Paris to south of Bryan, should be excellent. Gary Calkins, to the east in the Pineywoods, says the only limiting factor was that the hurricane knocked a lot of acorns off the trees last year. Jeff Gunnels, on the Engeling WMA, says last season was one of the best ever, and this one will be good, too. All the WMAs tell the same story. With a $48 annual public hunting permit, a lot of hunting is available. In the Trans-Pecos, Tarrant expects average antlers, although the habitat is slightly improved from last year. Pittman says carryover was good on the WMAs. Panhandle mulies are possibly increasing in number, according to Lucia, and antlers should be “average to increasing.” Ruthven predicts “average to above-average” antler quality after a mild winter and good spring green-up on the WMAs. He cautions, however, that with growing herds throughout the region, antlerless deer harvest may need to be practiced in certain areas. Texas’ 4 million deer suffered during the drought, but they are survivors. Here’s how it looks. 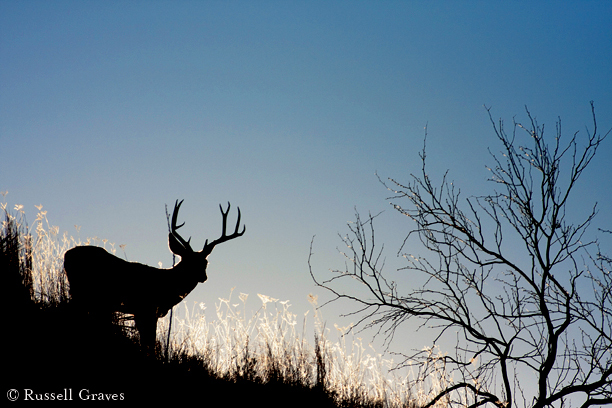 Tarrant expects West Texas whitetails to have improved antlers. The population is above the long-term average. Lucia says Panhandle antler development also got a boost from spring rains, but some areas are still overpopulated. On WMAs, Ruthven says more antlerless deer need to be removed, but he expects bucks to have above-average antlers. Kory Perlichek prepared the report for the Edwards Plateau, and said the 18-month drought was the worst on record. Ninety percent of the state was classified “abnormally dry.” That took its toll. Dale Schmidt, in Llano, said last season produced very few trophy bucks. Then, just as it started greening up from spring rains, Blake Hendon, in Austin, noted that a late frost set back mesquites, Spanish oaks and post oaks. Mary Humphrey, working the western counties of the Plateau, says that probably nixed a mesquite bean crop this year, and that’s what pulled the deer through last year. It also nipped a number of forbs. But nature has a way of compensating. With less to eat across the plateau, Mike Reagan, in Wimberley, observed that the fawn crop was the lowest in 30 years. Spring rains brightened the picture. Ray Aguirre, in Kerrville, says that Bandera, Kerr and Real counties are going to be better than last year. “They’ve already received more rain than the last two years, combined,” he says. Trey Carpenter, in Burnet, expects antler quality to be “average at best,” however. Up through the Rolling Plains, there’s a little more optimism. Sims, in Graham, sends word that a good carryover of bucks resulting from a light harvest on well-managed ranches could make hunters happy this year. To the east, Dean Marquardt, in Granbury, forecasts an increase in antler development and age structure, primarily due to the antler restrictions that are having good effects. James Edwards, in De Leon, agrees with that. Further east, Sierra says the Post Oak Savannah deer should have better-than-average weights and antlers, especially in the 13 antler-restriction counties. Calkins, in the Pineywoods, also lauds the restrictions and points to a large carryover of bucks, due to decreased hunting after Hurricane Ike. The WMAs in East Texas expect good seasons, and Gunnels, on the Engeling WMA, speaks about seeing “really big, older age” deer there. Forrester, working the coastal prairies where antler restriction started, anticipates average antlers as conditions improve. In the Brush Country, Daniel Kunz expects the poor body condition of most bucks will take time to recover, thus affecting antler development. Conditions were so bad that Dustin Windsor, in Cotulla, says that more than 60 percent of the ranchers there noted 8–14 less Boone & Crockett inches of antler. Matt Reidy says antler restrictions for Wilson and Karnes counties, coupled with a conservative harvest last season, should put plenty of good bucks in the crosshairs this year. Heather Halbritter, biologist for Atascosa, Bexar and Medina counties, also says quality bucks walked last season, making some leases more attractive this season. David Rios, in Uvalde, says that the resilient South Texas brush species only need a little rain to bounce back. Lucia tells us that pheasant numbers look to be average. Hunter success will probably depend upon when and how much rain falls, and what the farmers plant. And because of overlapping seasons, you could hunt four species of birds on one hunt: pheasants, ducks, geese and sandhill cranes! Few people hunt strictly for turkeys in the fall, and most are taken incidentally by deer hunters. Turkeys are underutilized in West Texas, according to Tarrant, and have found near permanent water sources. Ruthven says the Panhandle hunters will see a number of two-year-old gobblers. In the Hill Country, Joyce Moore expects there will be a number of middle-aged and mature birds this fall. In North Texas, reports indicate fair hunting, in spite of wildfires that destroyed nesting cover. In South Texas, populations have declined in recent years, but Hutchins says turkeys are abundant along the Frio, Leona and Nueces river basins. Fall season is closed for Eastern turkeys. Ducks and geese are migratory. They breed and nest in the north during spring and summer and come to Texas and other southern states for fall and winter. So, hunting prospects depend on balancing conditions in two very different parts of North America. Most followers of the ups and downs of the waterfowl world look to the north to start the discussion. It stands to reason: If breeding and nesting break down in Canada, Minnesota, parts of Wyoming and Montana and the Dakotas, the population goes down, and the number of birds flying south for the winter is diminished. If conditions are ideal and the numbers are up, a bumper crop comes south. Then hunting depends on what has happened to the Texas habitat. This year’s story is a tale of two very different cities, so to speak. The north was wet. Ponds were plentiful and brimming. Ducks had water. Grass was abundant for nesting and cover. Even the red fox population was down, so predation was reduced. It looks really good. The Dakotas had pond estimates 108 percent above last year and 87 percent above the long-term average (LTA). All ducks important to Texas improved from last year, except wigeons. Mallards were up 10 percent. Redheads declined by a percent, but were still above the LTA. Scaup, which had declined, showed a 12 percent increase. Pintails were up 23 percent. Green-winged teal rose 16 percent and blue-wings increased 11 percent. Gadwalls, northern shovelers and canvasbacks also showed gains. Overall, the duck population is estimated to be 13 percent higher than last year, and 25 percent above the LTA. But what will happen when they migrate to the lower realms? Will there be enough food and water to hold them, or will many move on to greener pastures in Mexico? That’s the question. Texas is dry — very dry — and may get drier before fall. El Niño is expected to bring some relief, but will it come soon enough? Dave Morrison, TPWD’s waterfowl program leader, says, “(Ducks) moving to Mexico is certainly an option, but I suspect that most can find some place in Texas to spend the winter.” If the drought continues, ducks could be concentrated on areas with managed water, he added. As the Central Texas lakes shrink, there is at least a small amount of solace in knowing that some of the water being taken from the reservoirs to irrigate fields along the coast will also help hold waterfowl this winter. With geese, reports from the north are another story. A late spring and high water retarded nesting. Most females simply did not nest. Nest failure was as high as 100 percent around Hudson Bay. Other areas also suffered. If you missed shots at a goose or two last year, be glad it’s coming back to give you another try; you may not see many young geese this season.